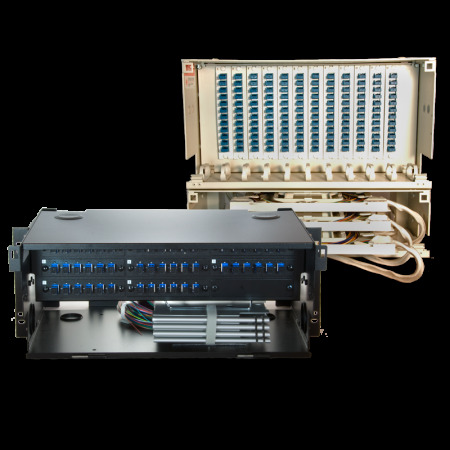 Rack mount product offers complete splice and termination options for applications calling for 1 to 35 units of rack space, 6 to 864 fiber count and configuration and connector specifications. Components are in stock and lead times are one to two weeks. Applications available from 6 fibers to 864 fibers. Units mount into 19 inch or 23 inch rack space. Front and rear access to working area. Rapid turnaround time using in stock components.